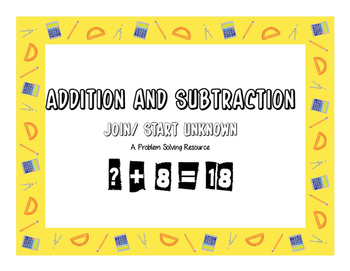 This problem solving resource addresses addition problem solving with sums to 20. 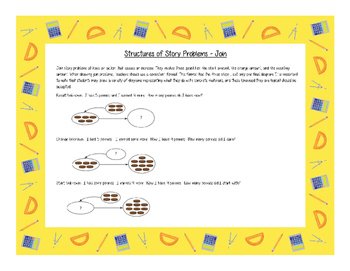 Problem structure background and modeling is provided to assist with instruction. 12 problems are included in this file represented in three different ways. 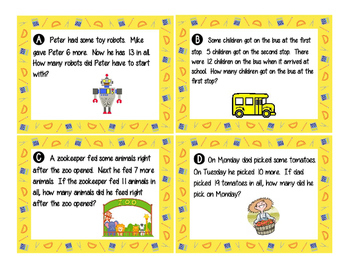 Each problem can be seen in a task card format, or arranged as an individual problem solving page. Students are asked to record an equation, draw a picture, and write their solution for each. 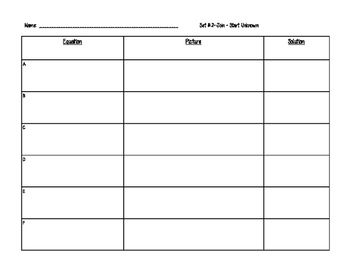 2 versions of the problem solving pages are provided to allow for use of the problem structure template or to be completed without. This activity could be easily used in centers, as a daily warm-up, within instruction, or as an assessment!